Although recent reports in the media speak of a business climate that’s declining in confidence, in the small business sector – including the trade and construction industry – employment trends a different story. While employment rates in small businesses are slowing, this number is still well above national growth employment figures. Continued employment demonstrates strong business growth and confidence in this sector. 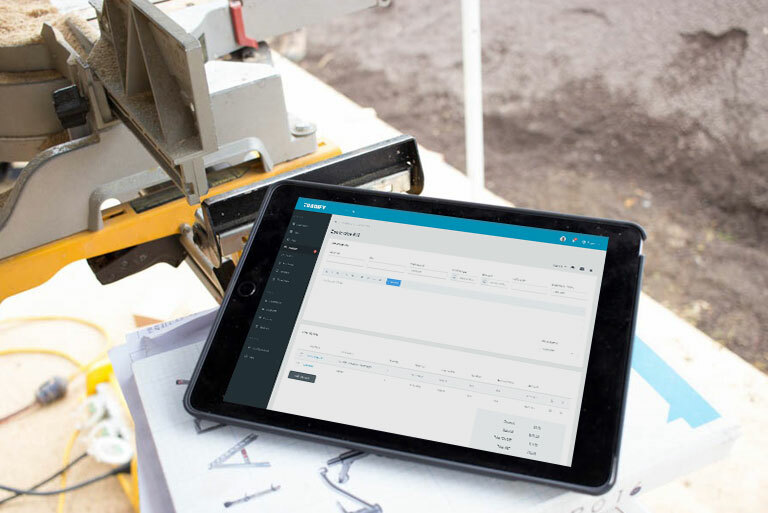 According to numbers released by Xero’s Small Business Insights, the construction industry saw the largest dip, of 1.8 percent in June 2018, almost a complete reversal of the May 2018 increase of 2.0 percent. For an industry in the middle of a boom period, what could account for this dip? Earlier this year, industry professionals warned that the current trade and construction talent pool couldn’t cope with increasing needs. The Ministry of Business, Innovation and Employment estimated New Zealand needs at least 50,000 workers and tradies before 2022 to cope with current demands. As the government ramps up plans for their Kiwibuild programme (building 100,000 affordable homes over the next ten years), they’re also discussing ways to cover skills shortages in the industry. The Ministry for Immigration has created a Kiwibuild skills shortage list, and there are plans to streamline processes for companies wishing to hire migrants with those skills. Casting the net wide is one way the government intends to help obtain the estimated 30,000 workers required to meet their Kiwibuild goals. Another government scheme aims to subsidise tradies to hire and train up young people who are currently unemployed. But industry professionals are concerned both these ideas may be putting the cart before the horse. Anna Clark, systems strategy and performance manager at MBIE, explains that the sector already faced several complex hiring issues, including boom-bust cycles, low investment in skills and training, and a reliance on short-term subcontracting. “Tradies are happy to have the work,” explains Emma Crawford-Falekaono of Tradify, a job management software for tradies. “They want to grow and hire new staff and train apprentices. But they don’t have the time. The problem is that in this industry in New Zealand, the people running trade businesses are also out on the tools. They’re increasing their own workload in order to meet demand, but that means they have even less time to work on their business. Crawford-Falekaono believes that training for tradies shouldn’t just include practical skills, but also how to run a business and use technology to your advantage. Tradify can see through their customer data that as a trade business grows, they’re sending out more quotes and invoices, and their jobs become more complex. Add payroll into the mix and the admin load becomes significant, especially if – like many trade businesses – you’re operating a completely manual system. Dan Henderson, Managing Director of enablebusiness – chartered accountants working across New Zealand specialising in business development & coaching – say that the hiring of employees also adds additional administration work every month. “There are already huge issues in this industry with tax compliance. When you add in a large contractor and seasonal workforce, you add more potential for tradies to end up on the wrong side of tax law.” enablebusiness work with their clients to achieve Financial, Mind & Time Freedom. By focusing on Time Freedom, enablebusiness clients can step back from the administration and day to day tasks and put their time into growing a financially successful business. So what’s the solution? Certainly, continued efforts by government to stimulate growth in the sector and make it easier to hire and pay employees and contractors and meet tax obligations. Both Tradify and enablebusiness want to see business skills become part of training, to help tradies understand they need to prioritise time on the business. They all agree that for growth to continue, some small businesses need to transition into medium businesses, and policy needs to support them to step up.